We are two of the most blessed people in God's creation - we are able to travel to exciting places, meet new people and share God's word. After several years of going on short-term mission trips to Honduras and the Dominican Republic, God called us to go "full time". In 1999 we quit our "regular" jobs and applied to become missionaries under the care and guidance of the The Mission Society. 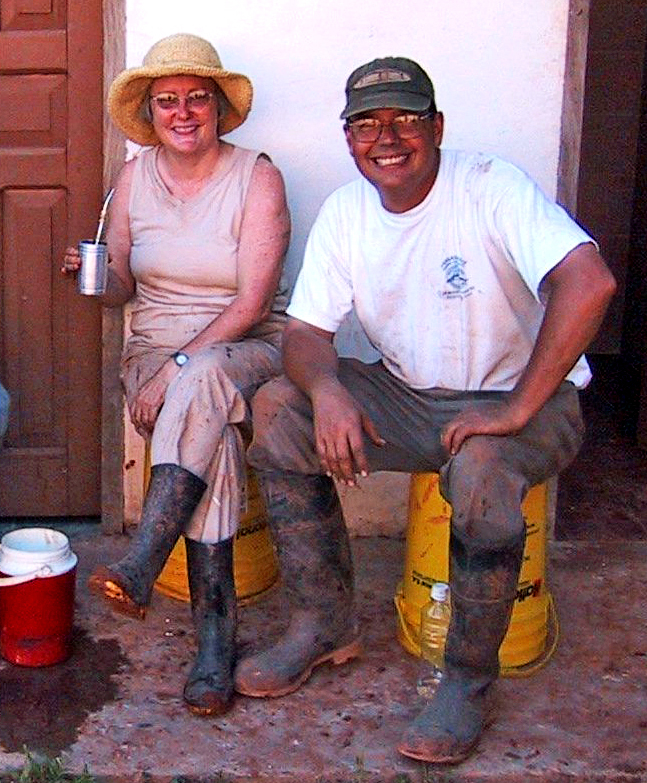 Our 10 years serving as missionaries in Paraguay and Nicaragua taught us that living incarnationally means becoming involved in the issues facing those that we serve – water and sanitation, agriculture, health, education, and many social issues. People are more open to receive the Gospel of Jesus Christ from those of us who recognize the many issues of daily life and help with their solutions. We continue providing this service as Water and Sanitation Specialists of The Global Resource Team assisting missionaries and those helping with indigenous groups who see problems but don’t have the skills or tools to help solve them.